Bournemouth, Dorset & Poole and from those further afield in Hampshire, Wiltshire, Somerset & Devon. 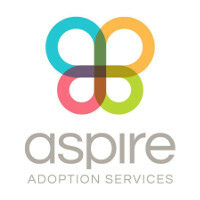 Aspire Adoption is one of the first Regional Adoption Agencies to be set up in England, and provides adoption and special guardianship services for the local authorities of Bournemouth, Dorset and Poole. We work in partnership with Families For Children, a local Voluntary Adoption Agency. Aspire Adoption provides opportunities for new ways of working to minimise delay for prospective adopters in being assessed and for children in being matched quicker with their new family. Aspire Adoption has brought together the best practices from each local authority and the expertise, skills and experience of staff from all across the region under one roof. We have teams of experienced social workers, focusing on specialist areas of work. The adoption assessment team supports prospective adopters through the family finding and matching process through to an Adoption Order. They work closely with the Family Finding, Matching & Placement Team. The workers from this team are linked with all of the children across Bournemouth, Dorset & Poole needing adoptive families. The workers work directly with the children, getting to know them and helping to prepare them for their move to their forever family. They also work closely with the Adoption Support team who ensure that you and your child are supported in the years ahead. We are keen to hear from anyone interested in adopting living in Bournemouth, Dorset & Poole, and from those further afield in Hampshire, Wiltshire, Somerset & Devon.